Libyan Nationals Funding Terrorism on US Soil. While recognizing that attacking the USA on its soil may be a difficult mission, US and European interests in Africa and Asia seem to be preferred soft targets. For example the September 11 assault on the U.S. Consulate in Benghazi (Libya). However, sleeper cells activated within the US have proven to be a real threat. Ultrascan-HUMINT Intelligence, Infiltration and Anti-Money-laundering (AML) operations within the core of Libya’s Al Qaeda network have revealed a group of Libyan nationals that aims to strike at the heart of the United States. The CIA and other European Intelligence Agencies have mentioned Africa as a large center of “recruitment” for the Al Qaida terror network. Terror acts toward the west are increasingly planned from Africa. AML investigations reveal financial ties between company - bank accounts in the United Arab Emirates operated by (former) facilitators of the Muammar Gaddafi regime, Egyptian arms traffickers, and Al Qaeda in Libya, funding members of a group of Muslim integrists in the United States that originate from and received training in Libya (Benghazi). 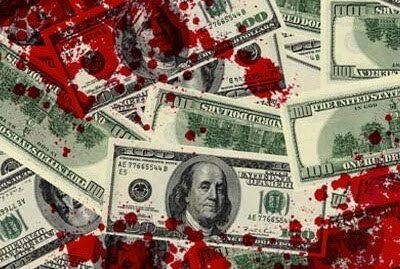 The flow of money transfers to Libyans in the US have increased in recent months, indicating the awakening of a cell that applies tradecraft, possible executing a terror plot leading up to an attack!